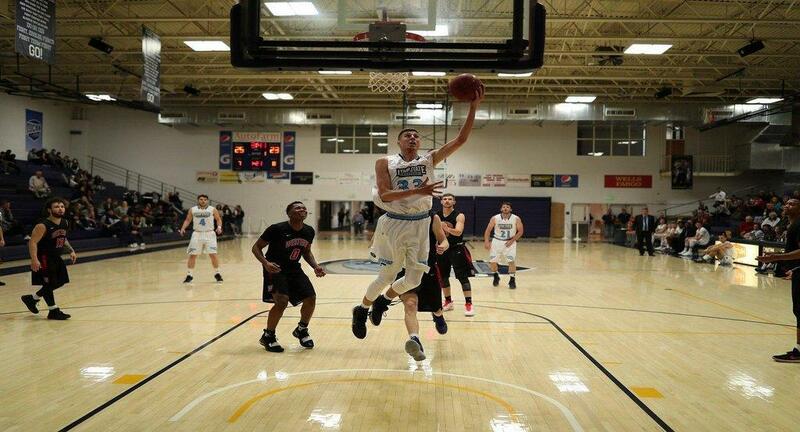 PRICE – Utah State Eastern men’s basketball defeated the Treasure Valley Community College Chukars 83-74 on Saturday in Ontario, Oregon. Saturday’s win concluded the Eagles’ three-day trip to participate in the TVCC Holiday Classic where they walked away 3-0. The Eagles were in control of the lead for most of the game and once led by 20 points. The Chukars closed the gap a little bit in the final minutes of the game but the Eagles would hold on against the tournament host. Outside of picking up three wins, USU Eastern Head Coach Vando Becheli thought his team bounced back with a strong performance this weekend after going 0-2 last weekend. “I am happy for them because we lost both games last weekend and this week they responded and really competed and fought adversity. When we can do the right things, we can be competitive,” said Becheli. With some players out with illness and not making the trip, several players got opportunities for more minutes in the three-day tournament. One player that really stepped up, especially on Saturday night was sophomore Stevan Jeremic. Jeremic scored 21 points on 100% shooting from the field while coming off the bench. He also had 10 rebounds and two blocks on Saturday against the Chukars. “He was important tonight and made a difference for us. They had no answer for him, he dominated the paint and finally played the way we think he can play,” said Becheli. Along with Jeremic, sophomore Ognjen Pantovic dominated the paint scoring 14 points with four rebounds and a block. As a team the Eagles out rebounded TVCC 42-29 and blocked five shots. “They played well together on defense as a team and we didn’t give them that many chances to get rebounds for second chance scoring opportunities,” said Becheli. The leading scorer for the Eagles on Saturday was freshman guard Blaze Nield who put in 25 points along nine rebounds and four assists. With a record of 8-3 overall, USU Eastern will head to Twin Falls this Friday for a two-day tournament on the campus of College of Southern Idaho. Friday night the Eagles will take on Portland Community College at 5:30 p.m. and on Saturday they will close the weekend out with a showdown against Western Wyoming at 5:30 p.m. Broadcast information of both games in Twin Falls will be announced later this week.